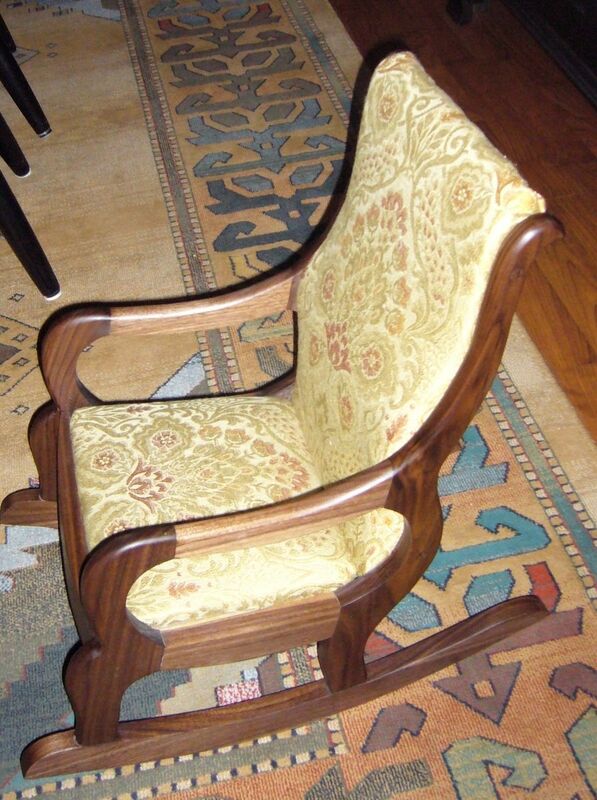 Our client presented us with a chair that had been given to her by her grandfather over 50 years ago. She wanted us to duplicate the design so she could give her own grandchildren a chair, similar to the one she cherished over the years. We built the prototype in her choice, walnut and finished it with a non-toxic oil/wax finish. She was so pleased with our effort, she has ordered four more chairs, some in walnut and others in cherry. Our client selected the fabric for the seat and back.